Homepage ● Where and when can you see lavender fields around Aix-en-Provence? Where and when can you see lavender fields around Aix-en-Provence? Symbol of Provence and known throughout the world, lavender is a “must do” experience of our destination. The ideal period to get enchanted by the vibrant and fragrant fields is between 15thJune and 15thJuly. But like any living wonder, lavender can bloom earlier, or extend its blooming into the heat of August. Departing from Aix-en-Provence, more than 15 tours will take you out to the roads of Provence to discover lavender fields and other attractions like sunflowers, hilltop villages or the Verdon Canyon. Some of the tours will lead you to the Valensole area (Alpes-de-Haute-Provence), an important spot of lavender production, whilst others will explore the Northern Luberon area and the village of Sault where lavender is harvested later. 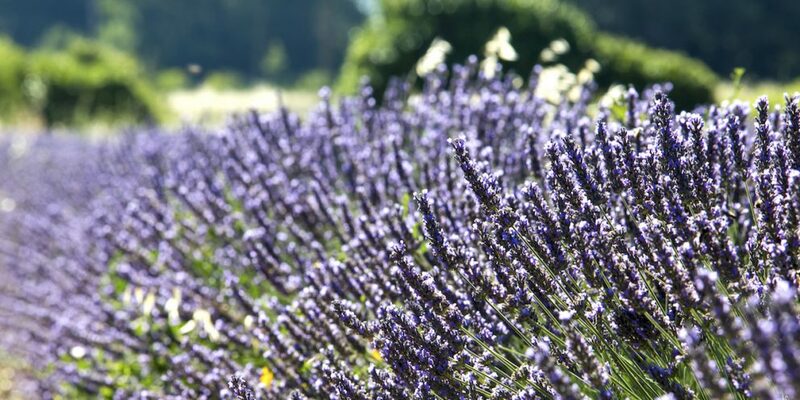 Please keep in mind that lavender fields result from hard work of the local farmers. Please respect their work and do not walk on the plants or cut lavender sprigs to form a bunch. You should also pay attention to the bees when lavender is fully blooming, and wear some good walking shoes as lavender fields are often full of stones.